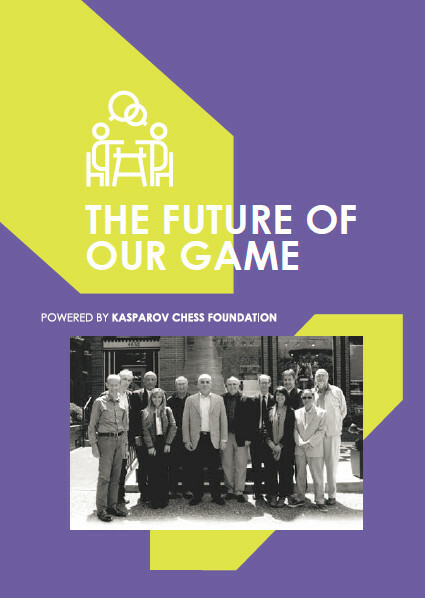 The January 2016 FIDE rating lists included some significant milestones for a number of countries and also brought to an end a year which has seen some incredible growth. 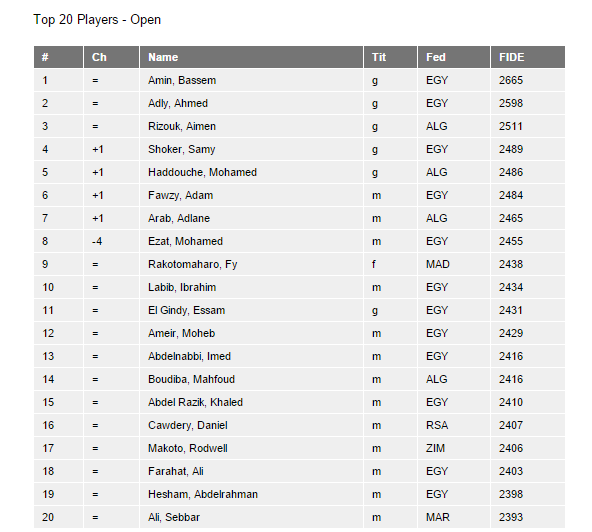 The highlight of the month is undoubtedly the introduction of Burkina Faso to the world of FIDE rated chess. 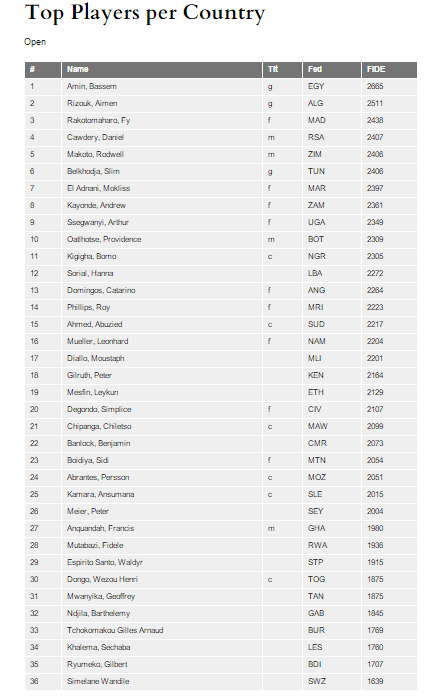 The invitational tournament which was run by KCF Africa in Ouagadougou in December produced no less than 12 new FIDE rated players and sees Burkina Faso enter the FIDE ranking list for the very first time ranked at world number 173. 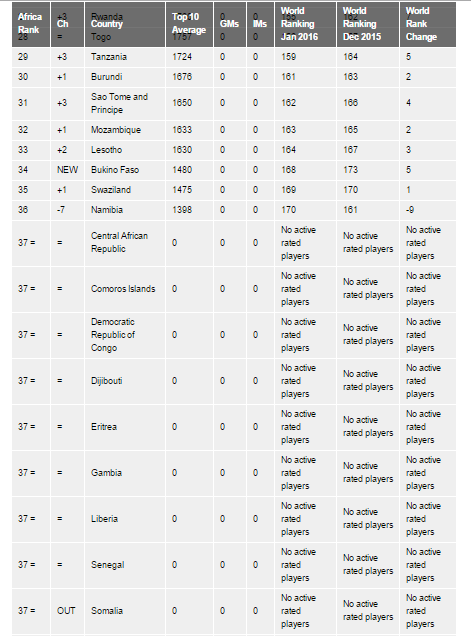 Both Rwanda (+7) and Tanzania (+5) also made good gains whilst Namibia feel sharply after many of its top players dropped off the list due to inactivity. 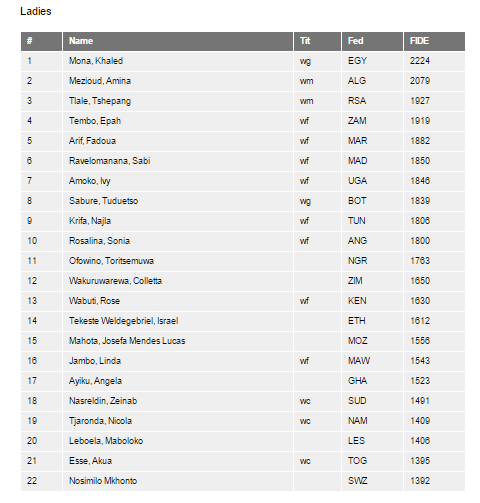 On the Individual lists, both Kenya and Rwanda saw changes at the top of their open rankings as Peter Gilruth reclaimed the number one ranking in Kenya and Fidele Mutabazi did the same in Rwanda. 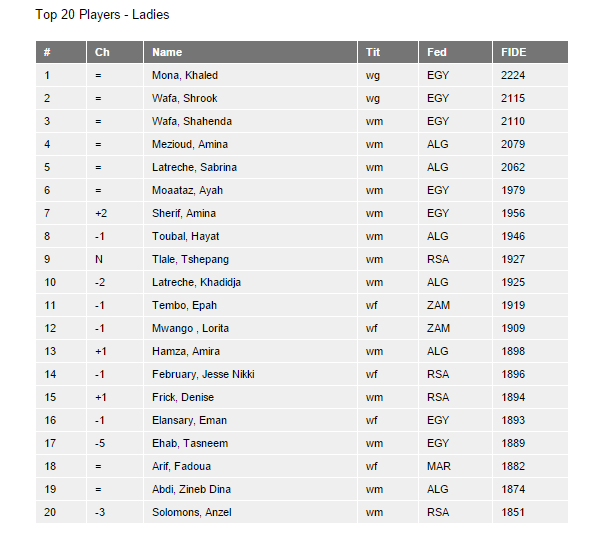 The list of Top 20 African Ladies welcomed back WIM Tlale Tshepang who also re-claimed the top of the South African Woman's ranking list after comfortably winning the SA Woman's Closed Championships in December. 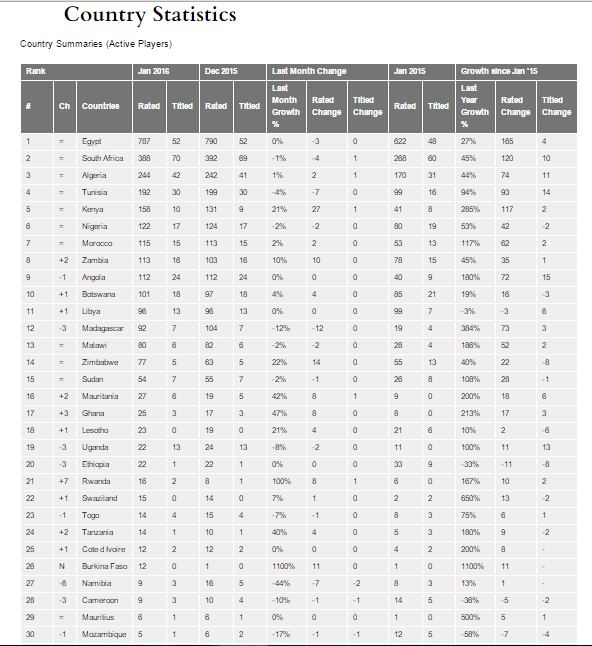 KCF Africa is proud of the difference we are making on the African continent and we look forward to a productive 2016 as we continue to do so in the new year. 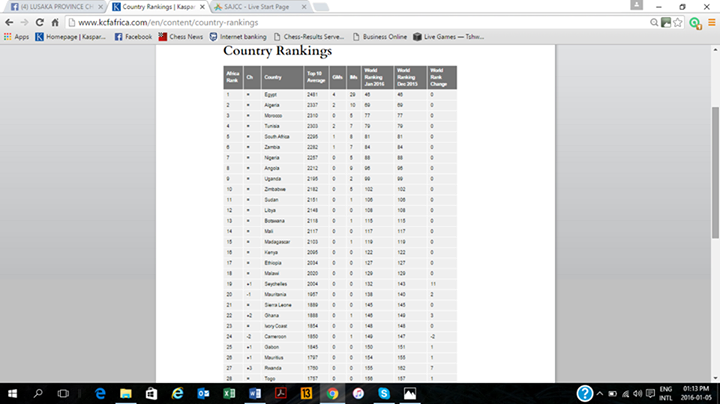 The full lists and country analysis based on the January 2016 FIDE rating lists are posted at http://www.kcfafrica.com/en/content/country-rankings.